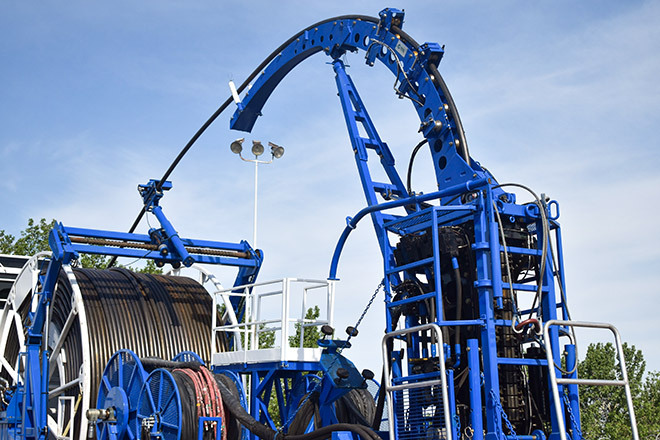 The Coil Solutions Injector Arch (Gooseneck) design allows for profile rollers to be used on all coil sizes up to 3.5″ OD (60″ & 72″ Arches excluded). This feature will help to significantly reduce the amount of fatigue on coil versus “v” rollers. Please contact Coil Solutions for additional information.